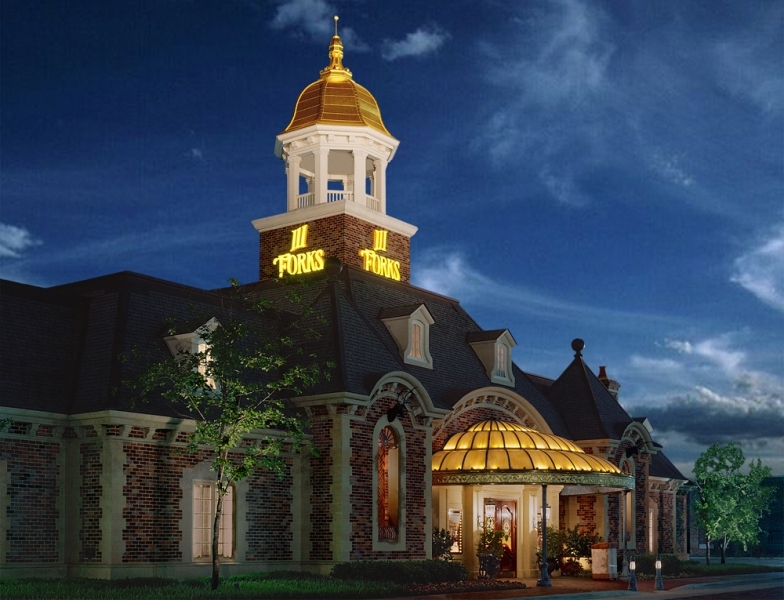 111 Forks – The Crown Jewel of American Dining Celebrates 20 Years! 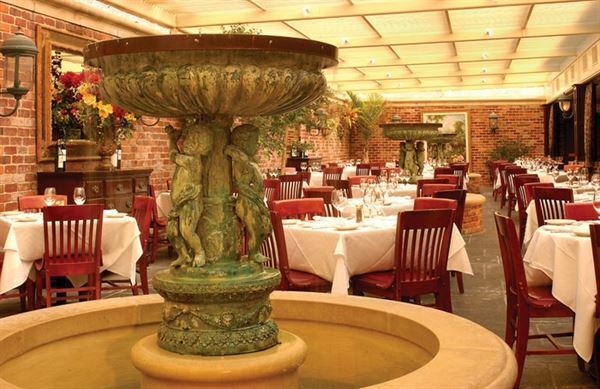 This renowned restaurant may have just turned 20 years old but they also have at least 20 different worlds with multiple dining rooms available in their 25,000 square feet. 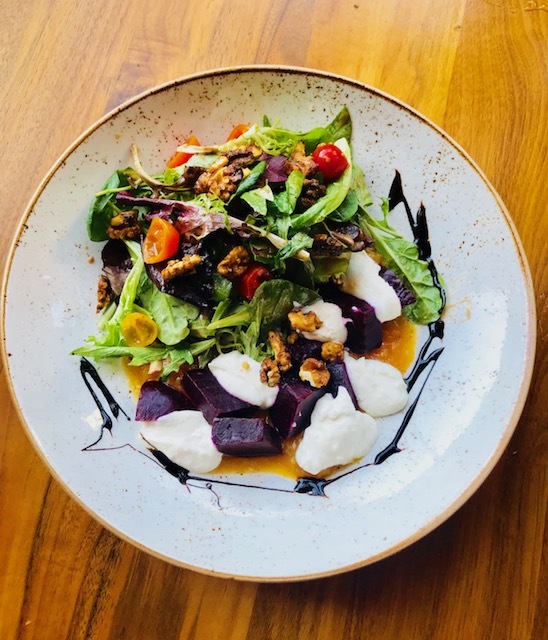 You may already know that 111 Forks serves some of the finest USDA Prime steaks in the country, the best ocean fresh seafood and has outstanding service. What I didn’t know was how flexible the restaurant was until we were given a tour of their facility. 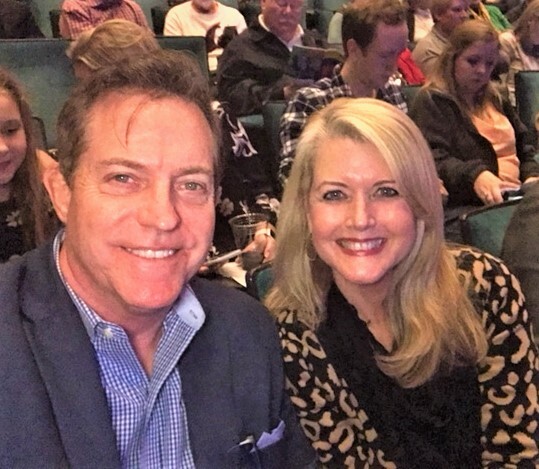 My husband and I recently attended a wine pairing event at 111 Forks in Dallas to help them celebrate their 20th Anniversary. The delectable food from Chef Chris Vogeli’s kitchen and wine from Oregon made it a delicious night and an informative one as well! 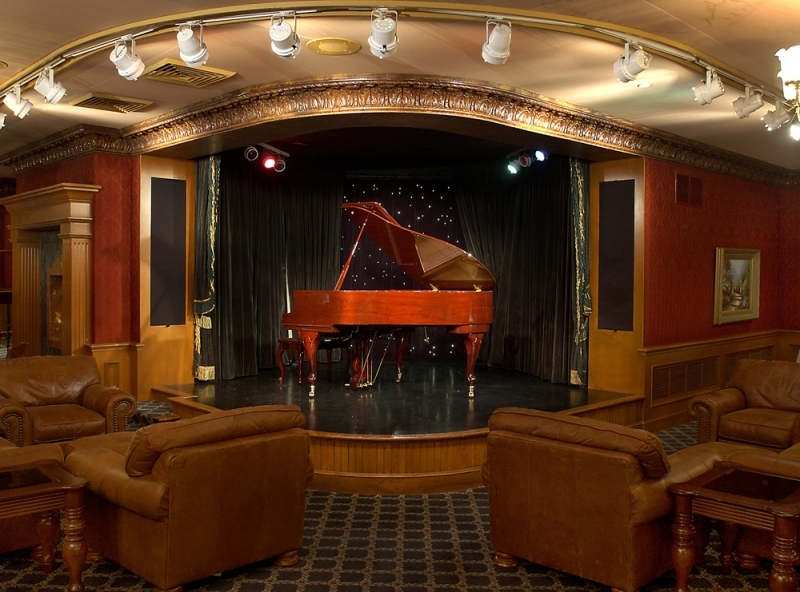 They have everything from your very own private jazz club with a stage upstairs to a New Orleans style courtyard downstairs. 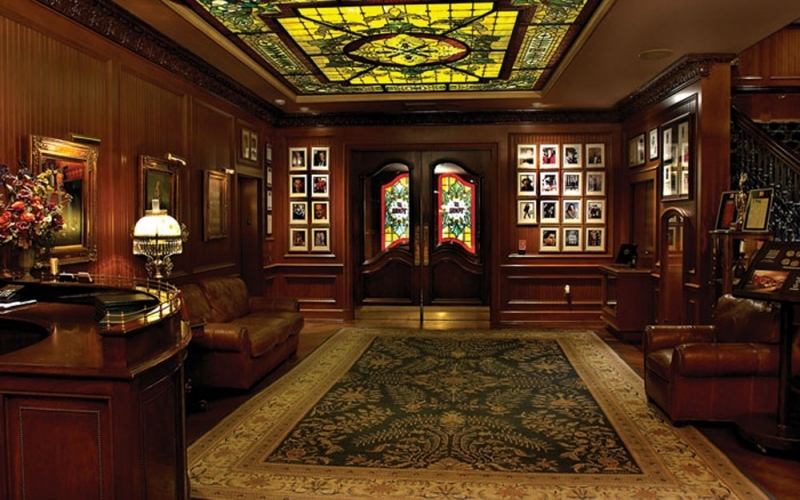 They actually have over 16 fine dining rooms to choose from! Large corporate boardroom style dining rooms are available for business meetings and there are smaller rooms for family and intimate social gatherings. 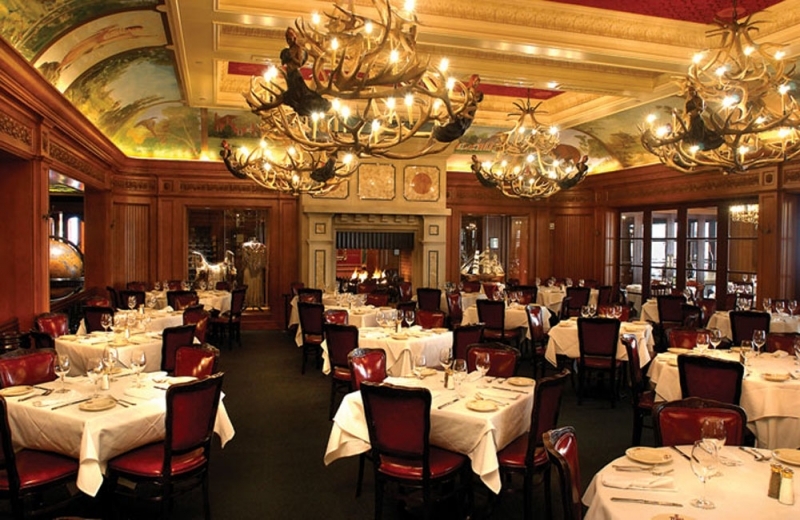 The focus of the restaurant of course is the unforgettable large dining room with an oversize fireplace, huge antler chandeliers and a ceiling mural depicting Dallas’ early history of trading posts and cowboys and Indians. 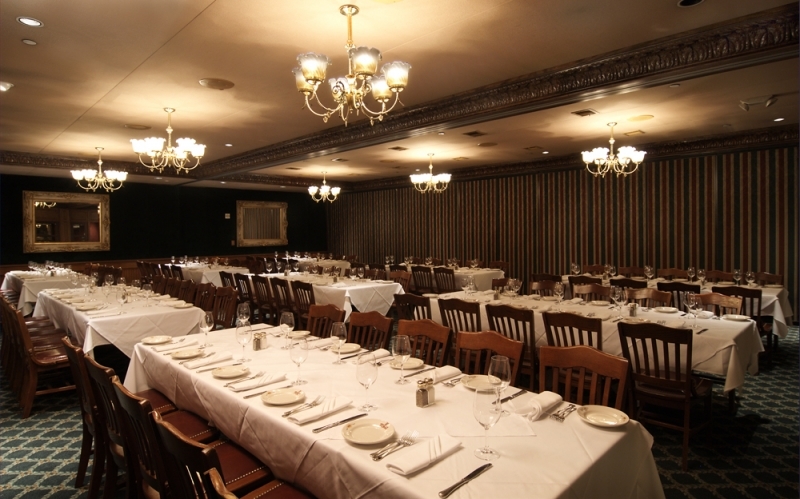 I love that the dining rooms are named after notable Texas heroes who fought for Texas Independence. 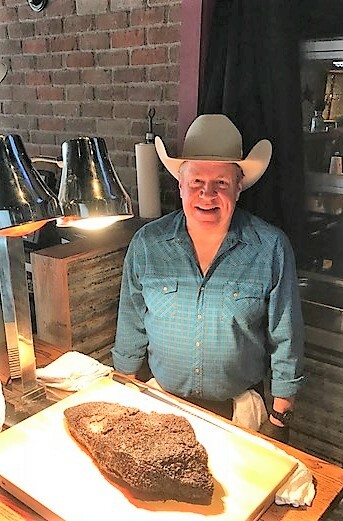 It reinforces that eating at 111 Forks is more than just a dining experience it’s a true Texas experience as will. 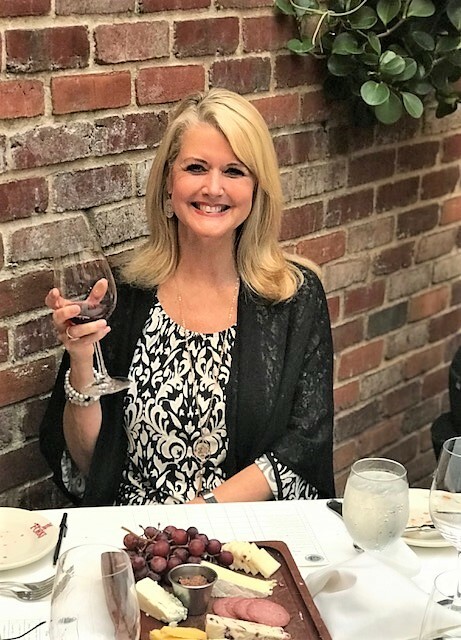 Add the live piano music, and their incredible wine selection and you have a dining experience that you will want to return to time and time again. 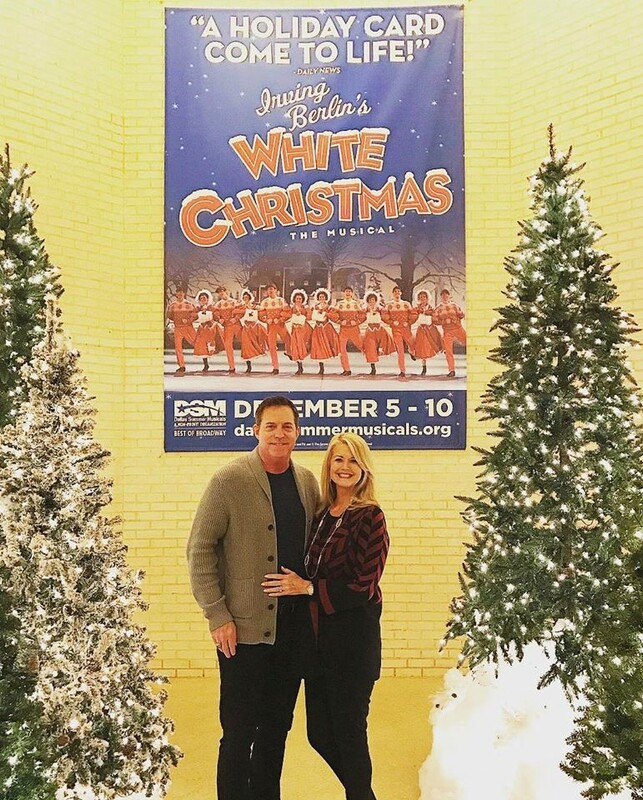 This Classic Broadway adaptation of Disney’s animated movie has returned to Dallas! After 20 years of performances it’s still one of the most creative productions ever made and remains one of the theatrical marvels of all time. If you haven’t seen it before you must make the trek to Music Hall. If you’ve seen it before you must make the trek to Music Hall to see it again. 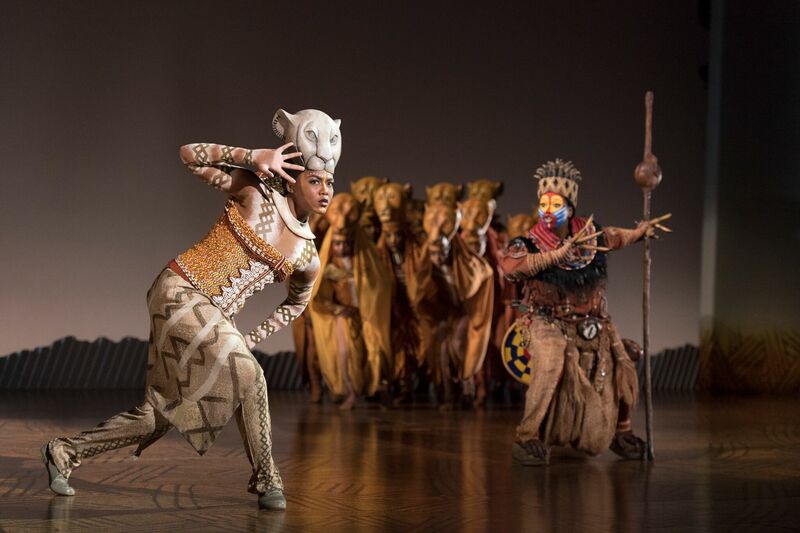 Tony Award Winner, The Lion King is one of the most popular productions of all time and has been seen by more than 95 million people around the world. There’s a reason for that. This is a musical that appeals to both kids and adults. The Lion King has a universal theme that we can all relate to and yes, a lot of it is geared to the younger generation (this is Disney after all) but adults love it as well. 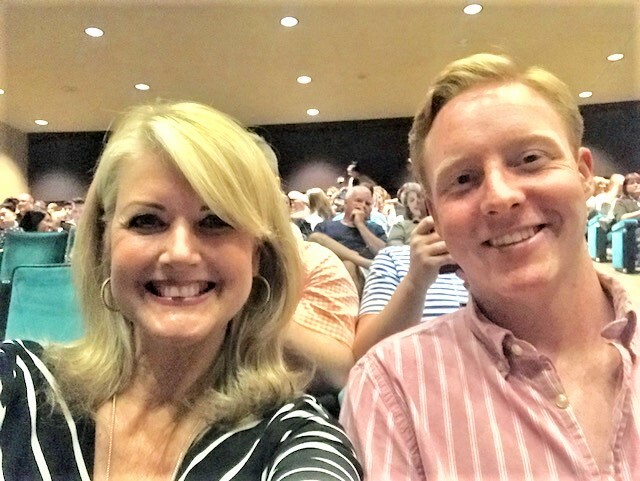 My 20 year son was in town from college and he surprised me when he agreed to go with me to see it. He remembered that The Lion King was the first musical I took him too as a child and he was actually excited about seeing it again. Not only can my son Jack quote every line from the movie because he saw it a million times as a child but he remembered the musical as being pretty great too. This time though, he saw it through eyes of an adult and still enjoyed it as much as I did. We marveled at the creative visual imagery, loved the familiar and catchy music (Grammy award winning actually), and appreciated the African culture depicted in the musical much more than we did before. 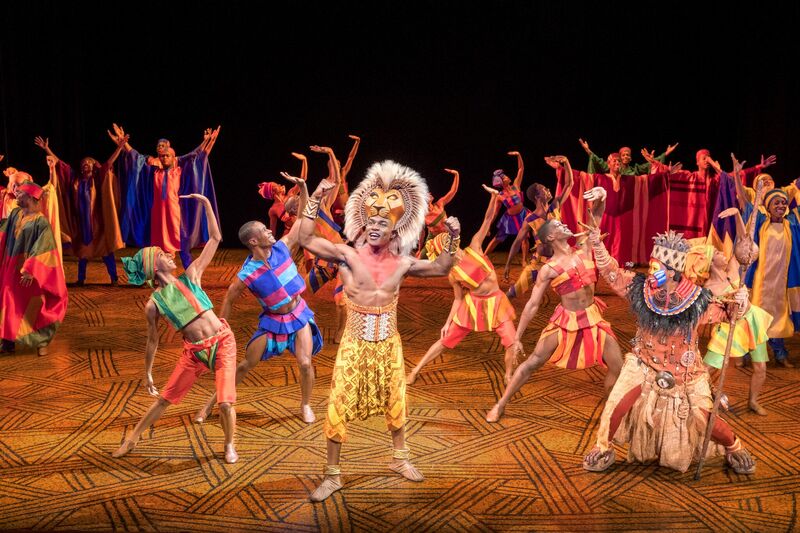 The message of the circle of life and the love of family still rang through for us as much as it did 20 years ago. 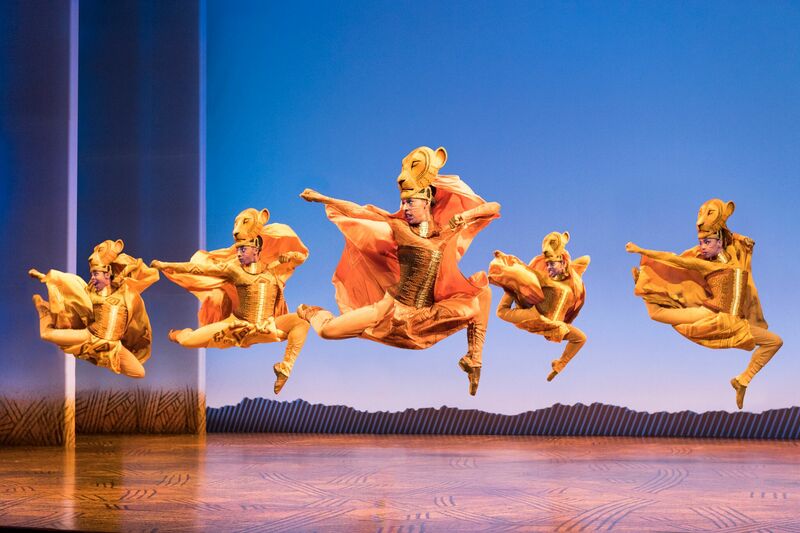 The performances are wonderful, the costumes are incredible, and the animals are delightful (except for the crazy hyenas – I never liked them and still don’t ha ha). Take a date, a friend, or a child but go see The Lion King, have fun, and no worries for one magical night! 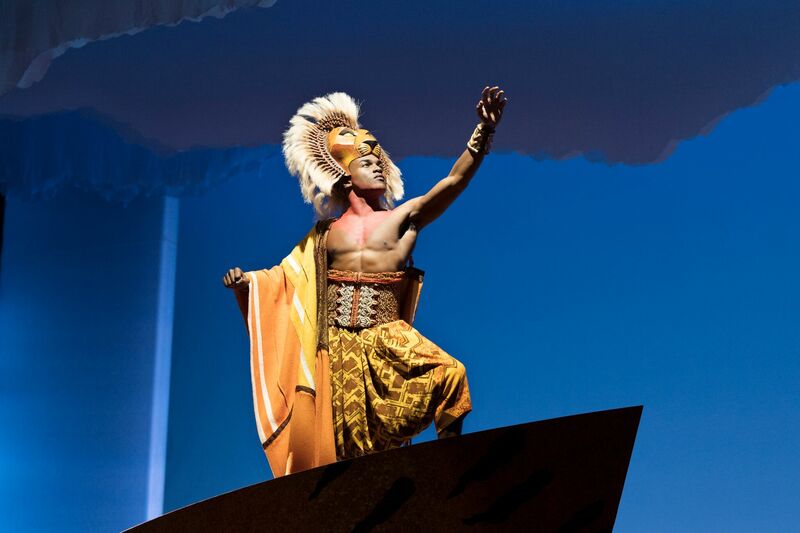 Disney’s The Lion King tickets are available at DallasSummerMusicals.org or by calling Ticketmaster at (866) 870-2717. They can also be purchased in person at the Music Hall at Fair Park Box Office Monday through Friday from 10:00 a.m. to 6:00 p.m. and Saturday from 10:00 a.m. to 4:00 p.m. Orders for groups of ten (10) or more may be placed by calling (214) 426-4768 or emailing Groups@DallasSummerMusicals.org. VIP Ticket Packages, which include a prime seat location, a commemorative souvenir program and an exclusive merchandise item, are also available. TAKE YOUR KIDS ON SAFARI AT THE MUSIC HALL! 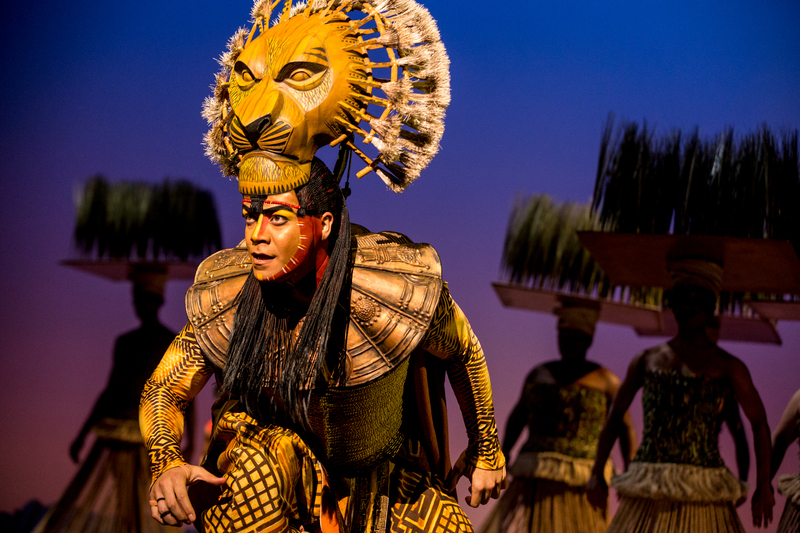 Elevate your family experience during Disney’s The Lion King with a passport to the DSM Savanna presented by Frost Bank. 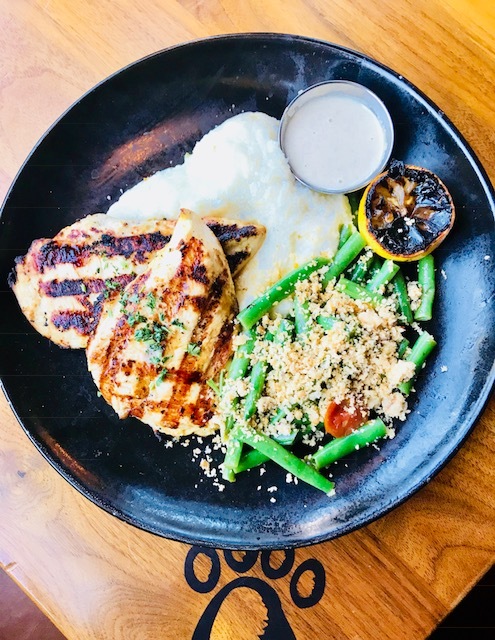 Get a DSM Savanna Passport for $15 per person. That’s $60 for a family of four. 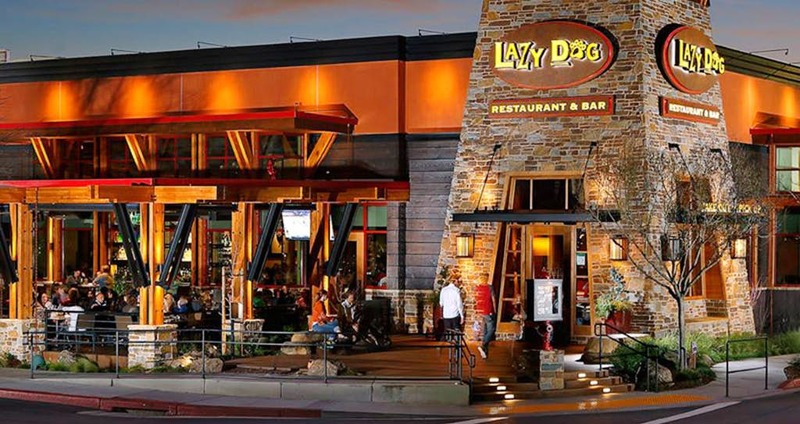 **BONUS: Get a Food Truck Voucher for a complimentary item with every 4 DSM Savanna Passports. You can pick up your Savanna Passports online, or on-site at the Box Office or at the DSM Savanna check in, located at the doors to the West Lawn of the Music Hall. *The DSM Savanna will open two hours prior to the show and close 15 minutes before curtain so be sure to arrive early to allow time to enjoy all of the activities. 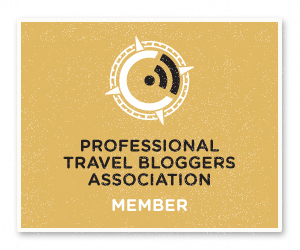 Be sure to dress comfortably and prepare yourself for a wild adventure! 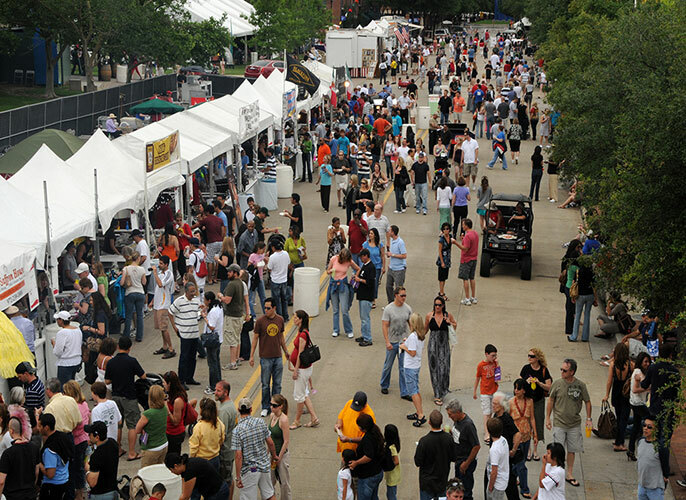 Taste Addison – This Weekend May 18th – 20th! Whiskey Myers 7:30 – 9 p.m.
Casey Donahew 9:30 – 11 p.m.
Rachel Stacy 12:30 – 1:30 p.m. Shotgun Rider 2 – 3 p.m. Breaking Southwest 3:30 – 5 p.m.
Jonathan Tyler and 5:30 – 7 p.m.
Cory Morrow 7:30 – 9 p.m.
Eli Young Band 9:30 – 11 p.m.
Fin City 12:30 – 2 p.m. Escape 2:30 – 4 p.m.
La Freak 4:30 – 6 p.m. In our exclusive wine garden, you will get a chance to experience fantastic wines from varied and vast appellations! If you have an affinity for bubbly Prosecco from Italy or a zeal for the zing of Sauvignon Blanc from Sonoma, your taste buds will dance with delight as you tour the garden. Whether it’s a refreshing rinse of Rosé or a mouthful of California Chardonnay, enjoy your relaxing weekend with a glass of one of our exceptional wines! Available for sampling: Sauvignon Blanc & Merlot (Ava Grace Vineyards), Chardonnay & Rose (Chloe Wine Collection), Moscato D’Asti & Prosecco (Cupcake Vineyards). 21 & UP ONLY. **VIP tickets have 30 minutes early access for all 3 days. Must be 21. From Chicago’s award-winning Goose Island IPA to Seattle’s Space Dust IPA from Elysian Brewing Co., experience a wide array of craft beers from across the country. Enjoy Colorado’s refreshingly crisp Mango Mosaic American Pale Ale from Breckenridge Brewery and Houston’s Karbach Love Street kolsch-style blond to the seasonal Karbach’s Tasty Waves Summer Ale. Finish it off with a gluten-free Spiked Seltzer – perfectly refreshing natural fruit flavors. There’s a taste for every beer lover. 21 & UP ONLY. Several of Addison’s most popular chefs will show you how to recreate your Taste Addison experience at home. See the shows and stay for the samples! All cooking demos take place on the Albertsons Tom Thumb Cooking Stage located inside the Addison Conference Centre. 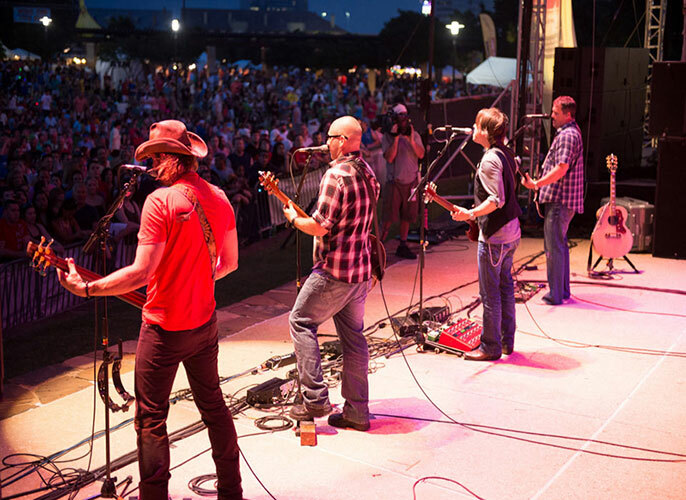 The demos are included with a Taste Addison admission ticket. 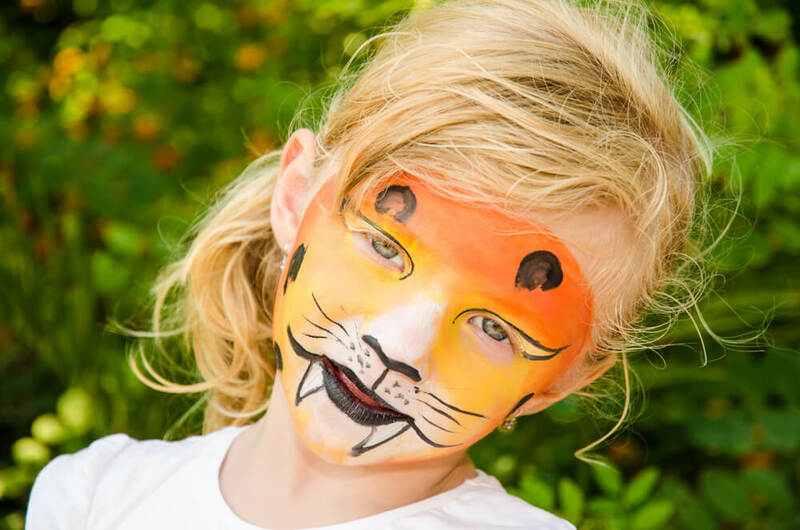 Enjoy free face painting, activities and games for the whole family on the Family Fun Lawn located near the Addison Conference Centre and the Stone Cottage, or visit the Talley Carnival for rides and midways games. Kids 11 and younger get in FREE all weekend. Saturday: 2 p.m. to 7 p.m. Enjoy a step-by-step painting session with experienced and professional local artists. You’ll leave with a one-of-a-kind creation and a newfound talent you’ll want to explore. Located in the Addison Conference Centre. Suitable for ages 12 & up and accompanied by an adult. On Sunday, join the Japan-American Society for Origami, the art of folding paper and Kirigami, the art of folding and cutting paper on the Conference Centre patio from Noon – 4pm. 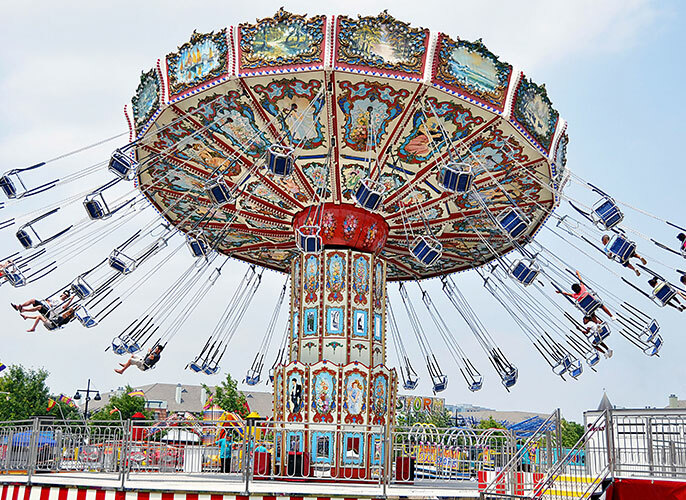 Whether you enjoy zero gravity or if the monkey maze is more your pace, the Taste Addison carnival has a ride that’s just your speed. Ride prices start at $3 and go up. All rides have minimum height requirements, so make sure to check out the posted signs. The Carnival will accept Tasty Bucks only. One ticket equals $1. 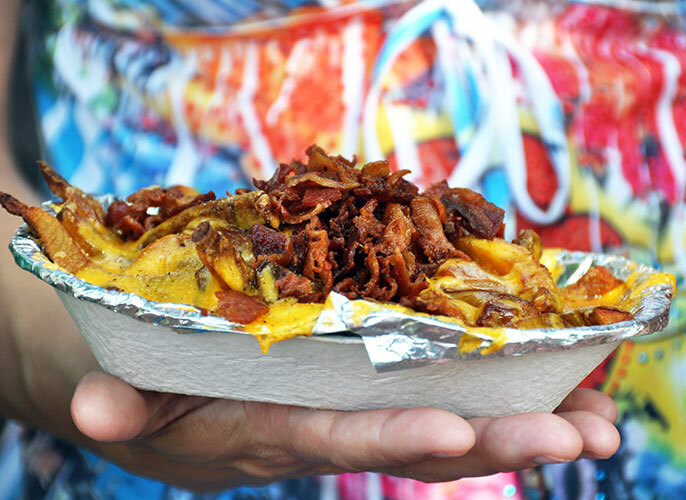 Visit www.TasteAddisonTexas.com or connect on Facebook, Twitter and Instagram at @VisitAddison and #TasteAddison. Yes, the much loved LES MIZ has been around (32 years to be exact) but if you think it’s tired, think again. It’s musical theater at its best and has the most powerful music and performances that have ever been seen at the stage. 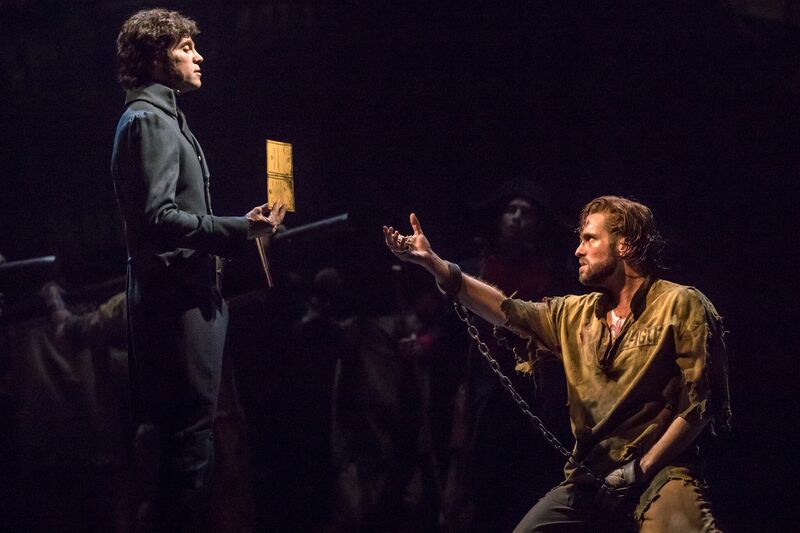 LES MISÉRABLES is still the world’s most popular musical, breaking box office records everywhere. It’s also the 5th longest running Broadway of all time. There’s a reason for that! If you’ve never seen it you need to go to experience it. 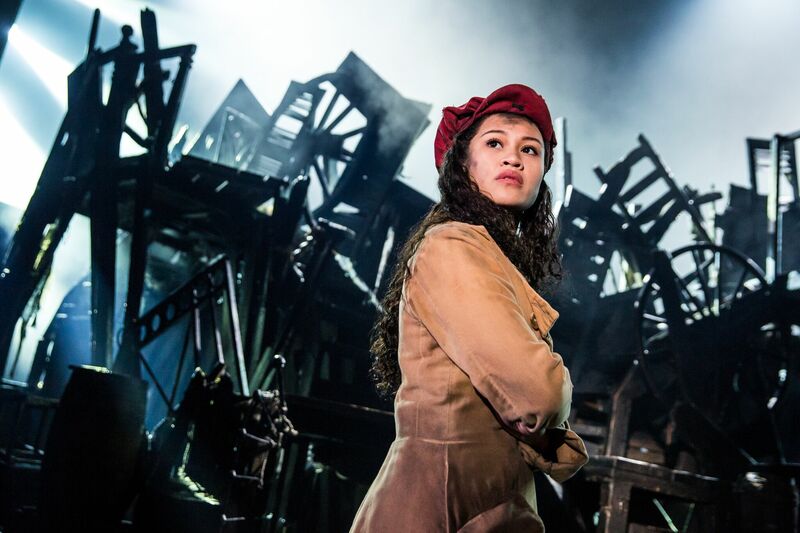 If you have seen it before you need to go again because this new production has been revamped with imaginative new staging and stunning scenery inspired by the paintings of Victor Hugo. It’s really spectacular! Here’s the plot: LES MISÉRABLES takes place in 19th century Frances and is the epic tale of broken dreams, love, passion, sacrifice and redemption. The story follows the fugitive Jean Valjean and his journey from a 19 year imprisonment for stealing a loaf of bread and the prison officer, Javert who makes it his life’s goal to hunt him down. 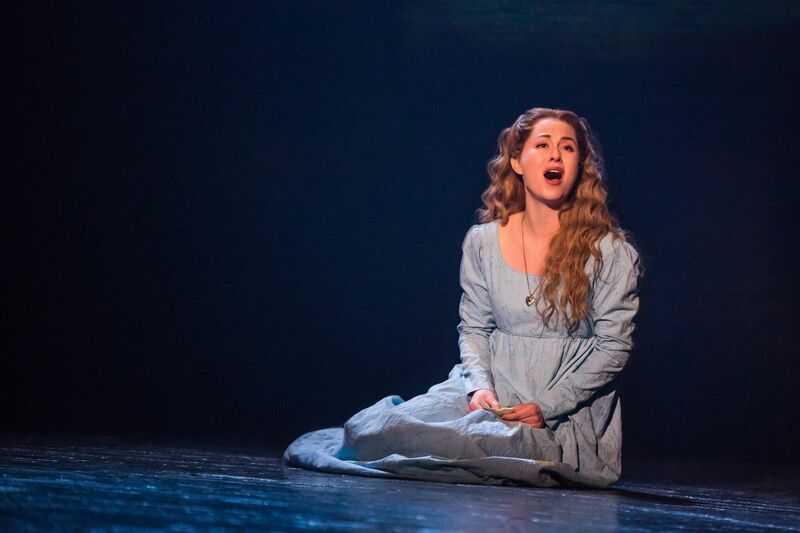 Jean reinvents himself as a mayor and factory worker and meets the tragic Fantine and becomes the guardian of her beloved young daughter Cosette. The musical will thrill you and delight you at the same time. 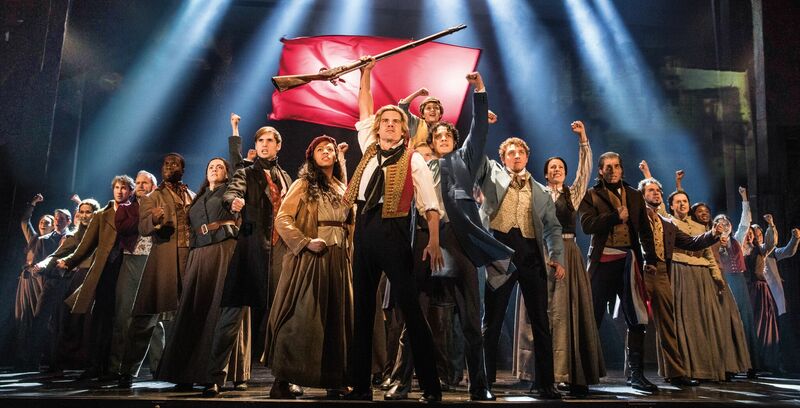 The musical features one of the greatest scores of all time, with the much loved songs such as “I Dreamed A Dream,” “On My Own,” “Stars,” “Bring Him Home,” “One Day More,” “Do You Hear the People Sing”. This production is filled with first rate talent and incredibly powerful voices. Nick Cartell portrays the fugitive ‘Jean Valjean.’ Josh Davis performs as ‘Javert,’ J Anthony Crane as ‘Thénardier,’ Allison Guinn as ‘Madame Thénardier,’ Mary Kate Moore as ‘Fantine,’ Matt Shingledecker as ‘Enjolras,’ Emily Bautista as ‘Éponine,’ Robert Ariza as ‘Marius’ and Jillian Butler as ‘Cosette.’ Elsa Avery Dees and Sophie Knapp alternate in the role of ‘Little Cosette/Young Éponine.’ Julian Emile Lerner, Sammy Middleton and Jonah Mussolino alternate in the role of ‘Gavroche.’ All of their performances are energetic, strong and heartbreaking. And yes, I cried throughout because the music is truly wonderful and full of raw emotion, realism, and love. 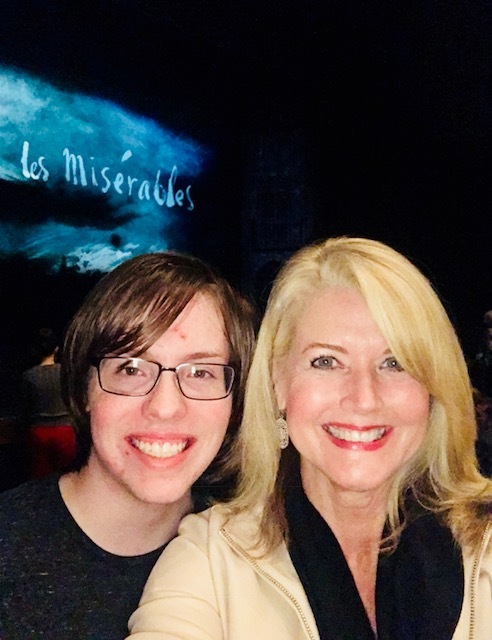 One of my favorite lines from the finale of LES MIZ is “And remember The truth that once was spoken, To love another person is to see the face of God!” This is one of my all time favorite musicals. 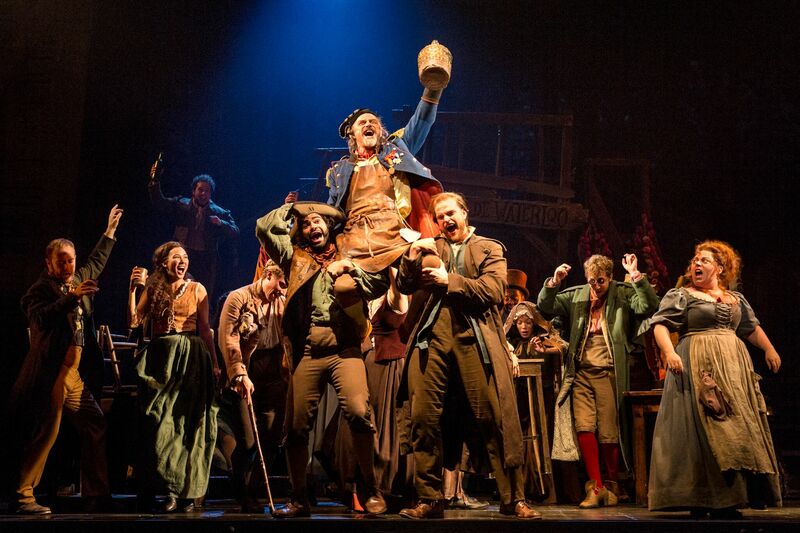 Go..See..LES MIZ! Looking for a a great spring date night or a girl’s night out idea? I have the perfect chose for you! I took my son, Jared to see it and he loved it! Tickets start at just $35 and can be purchased online or at the Music Hall at Fair Park Box Office. To purchase tickets, visit dallassummermusicals.org/shows/les-miserables, call 214-691-7200 or visit the Music Hall at Fair Park Box Office at 909 1st Avenue. Ticket prices start at $35. For a sneak peek, please visitwww.LesMiz.com. Following the thrilling run of LES MISÉRABLES, DSM‘s 2017-18 season will continue with Disney’s The Lion King, winner of six Tony Awards®, including Best Musical, June 13-July 7, 2018; the spellbinding sequel to The Phantom of the Opera, Love Never Dies: The Phantom Returns, July 24-August 5, 2018; and closing the season will be the hilarious new musical School of Rock, based on the hit film, August 15-26, 2018. 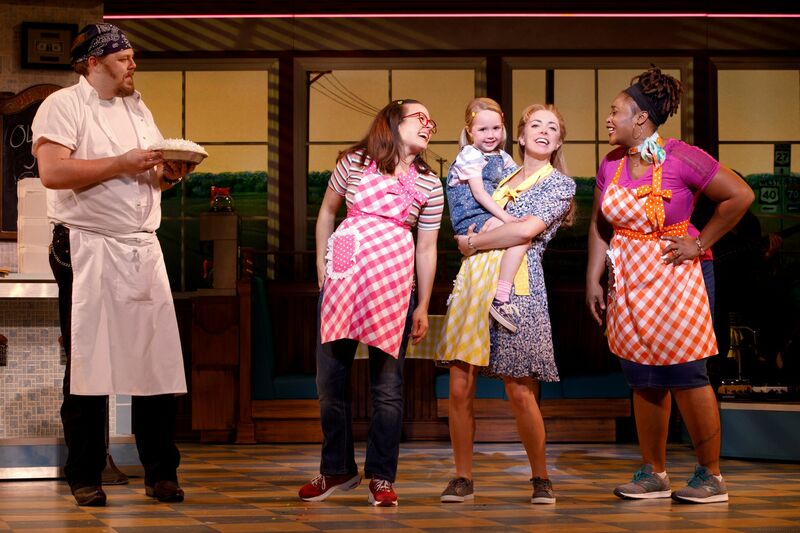 It’s an “easy as pie” decision to grab some girlfriends and go see the cooking themed musicial Waitress! The musical is all about friendships, relationships, motherhood, loyalty, love, and pies! 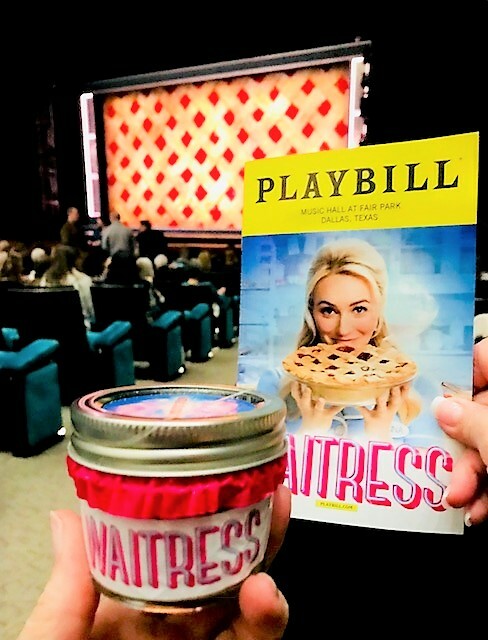 I mean who doesn’t like a good musical and pie, right? 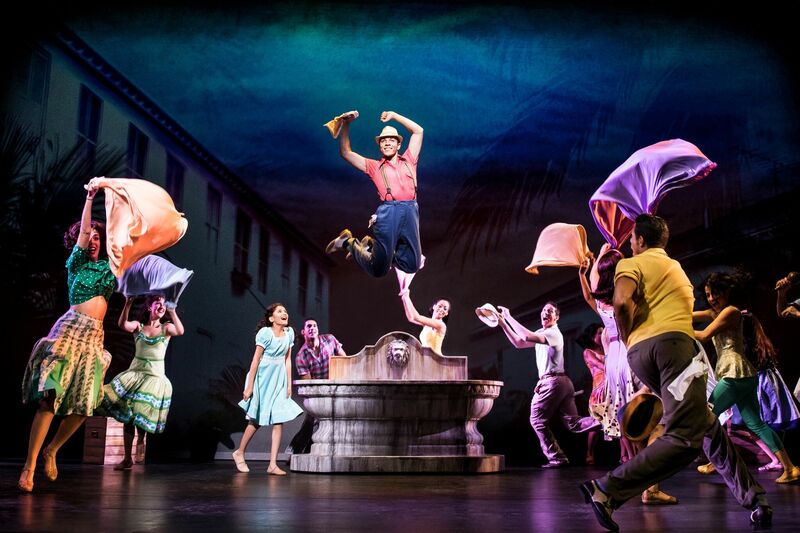 The production is uplifting and full of laughs, and tears. Warning tip: Don’t go hungry or you will die of starvation because of all the pie talk! 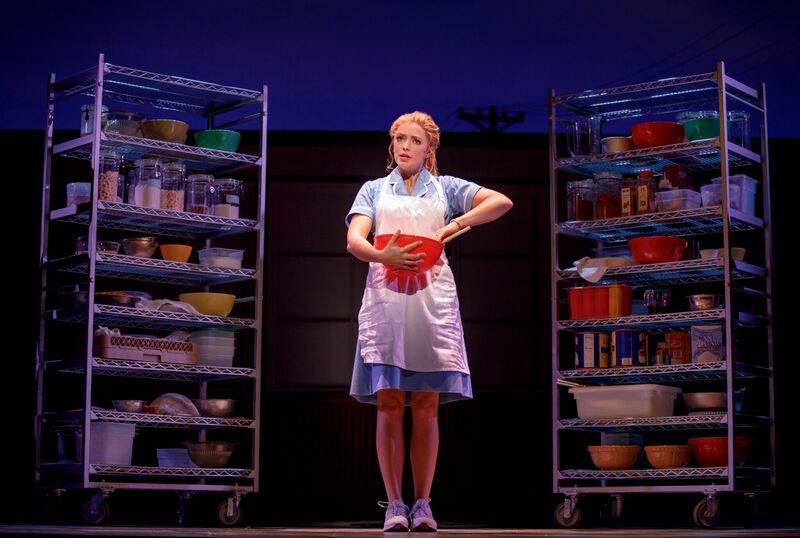 The musical is based on the beloved 2007 movie Waitress. It is all about women and their struggles and it was created by a team of women that features the original music and lyrics by 6-time Grammy® nominee Sara Bareilles (“Brave,” “Love Song”), a book by acclaimed screenwriter Jessie Nelson (I Am Sam), choreography by Lorin Latarro (Les Dangereuse Liasons, Waiting For Godot) and direction by Tony Award® winner Diane Paulus (Hair, Pippin, Finding Neverland). .
Here’s the plot: It’s the story of Jenna who is a downtrodden waitress who works in Joe’s Pie Diner making amazing homemade pies. Her beloved mother passed on the talent to her in the hopes that it could help her be successful but she’s trapped in a small town in the south in a dead-end job and in a loveless marriage. She dreams of escaping both but now finds herself in a real predicament – she’s pregnant. If that’s not enough to deal with, she pays a visit to her long time doctor only to find that she’s retired and there’s a handsome new doctor in town who’s more interested in her than her baby OR her amazing pies. There’s only one big problem with the new man in her life – he’s married. Oh, what’s a girl to do? Well, if you’re Jenna you bake more pies and give them hilarious personal, life names such as “Betrayed by My Eggs Pie”, “My Husband’s A Jerk Chicken Pot Pie”, “Marshmallow Mermaid Pie” and “I Don’t Want Earl’s Baby Pie”. Jenna loves to create new pies with lots of sugar of course but also some very creative ingredients. She demonstrates through song “What’s Inside” how she makes her pies and with the song “What Baking Can Do” how it helps her deal with her depressing life. But there is some hope on the horizon for Jenna. There’s a baking contest in a nearby county that may be the way out of her dead-end existence. And just maybe the new doctor in her life might actually be the answer to her love life. Meanwhile Jenna’s best friends and fellow waitresses, the frisky and feisty Becky and the dorky but adorable Dawn are by her side to lift her up with advice, laughter, and support as she deals with this new wrinkle in her already beat down life. Becky (Charity Angel Dawson) delivers the “been around the block” strong and sassy role with a big and soulful voice that will leave you wanting more. Jenna not only makes magical pies but she’s also loved by everyone who knows her including the grumpy and grouchy diner owner Joe. Their banter in the diner is endearing and sweet and it’s a real showstopper when Larry Marshall who plays Joe belts out “Take it From an Old Man”. Another standout performance that will have you seriously laughing out loud is Jeremy Morse as the hysterically manic character Ogie. He’s Dawn’s new (and first) love interest that she’s met on a dating site and goes by the online name “OKC with a Bullet” (that should give you a hint to his level of coolness). His song “Never Ever Getting Rid of Me” is brilliantly funny and when you put Ogie and Dawn together they will become your new favorite couple. Desi Oakley delivers a solid and believable performance as Jenna. She’s sweet as southern pecan pie and balances that with a sorrowful sadness that feels genuine. She can also belt out the songs in a big voice which reminded me a little of Reba McIntire. When she sang “She Used to be Mine” in the second act she had me and most of the audience in tears. Her interaction with her jerky husband Earl (played almost too well by Nick Bailey) will break your heart and will make you want to break Earl’s head. 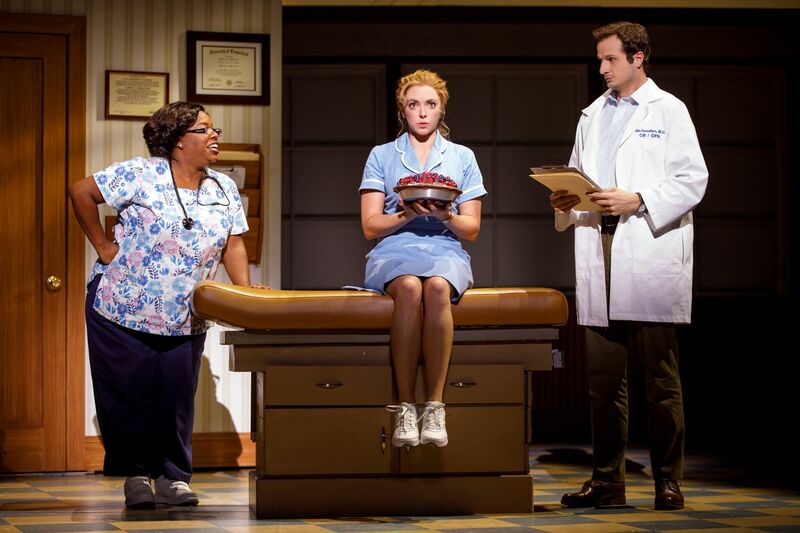 All the performances are strong and contribute to the fun that Waitress brings to life. The young actress Eliza Chabot who plays LuLu is pure delight when she makes her appearance at the end of the performance the audience cheers! I love it when that happens! The sets are creative with the diner interchanging easily with Jenna’s tired and sad home. I also really liked the ingenius way the band slides on and off the stage and becomes part of the diners set. 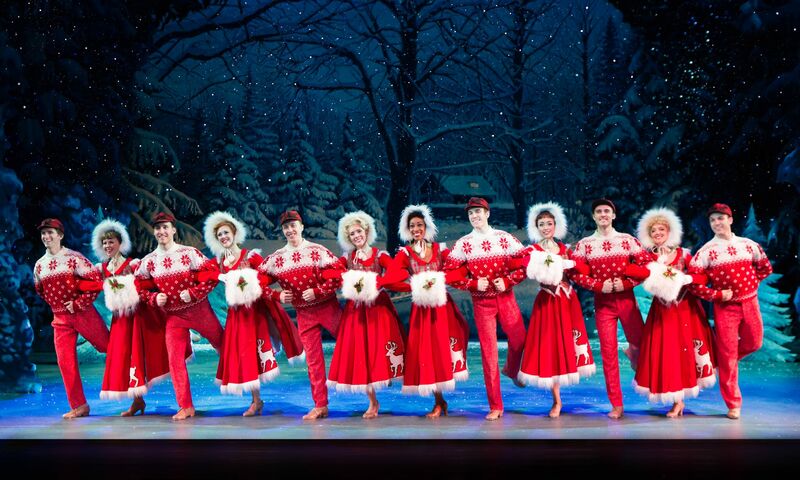 This musical is not heavy on dancing but I found myself not really caring because it is heavy on the music. I don’t always have a desire for the sound track but I do for this one. 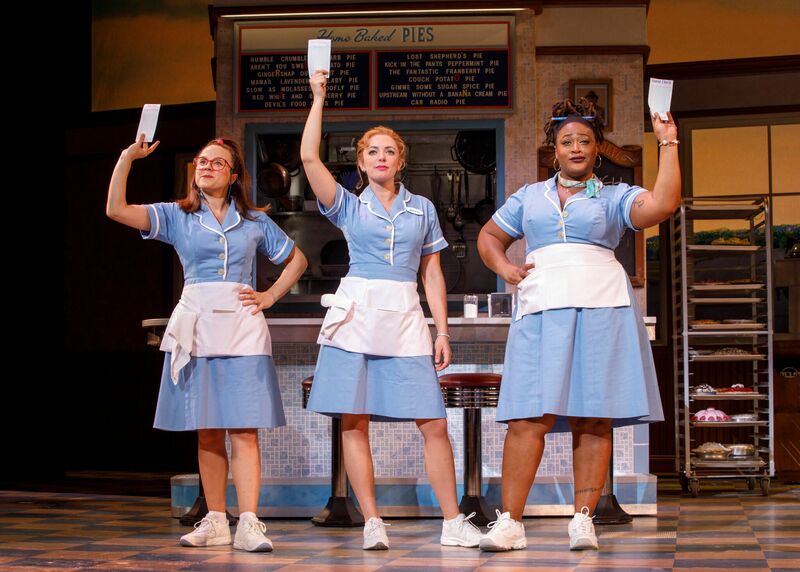 As funny as it is, Waitress deals with a lot of real issues and sometimes uncomfortable subjects but it does so with heart and some adult humor (leave the kids at home for this one). There are moments where most of us can relate. Bad relationships, career disappointments, unrealized dreams, and yes, the one that got away. But through it all we have our friends and family who love us anyway, the knowledge that there’s always tomorrow, and oh yes, there’s always pie. 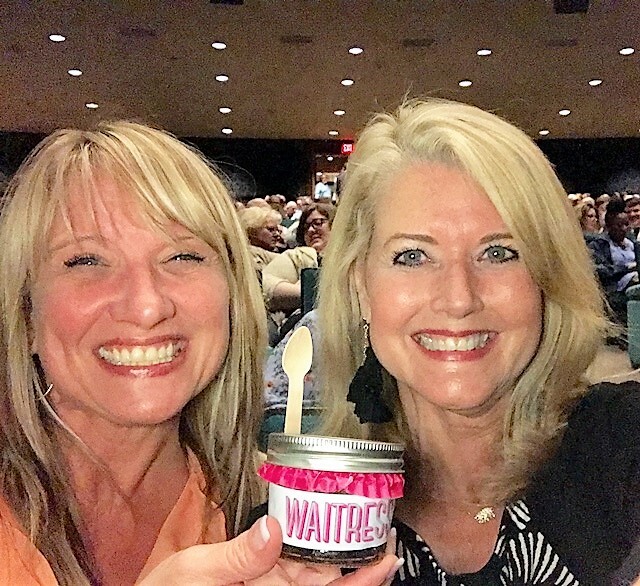 Waitress is a perfect girls night out! 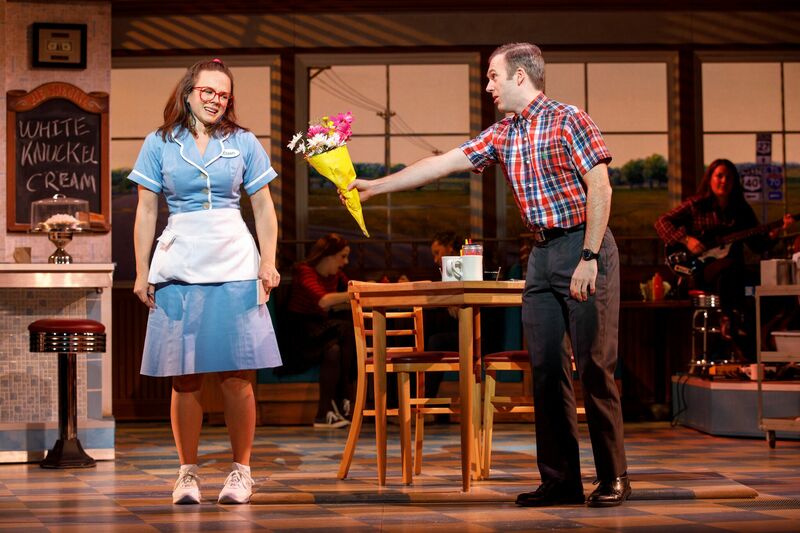 Single tickets for the Dallas engagement of Waitress, starting at $20 (pricing subject to change), are now on sale at DallasSummerMusicals.org or by phone at 1 (800) 745-3000. 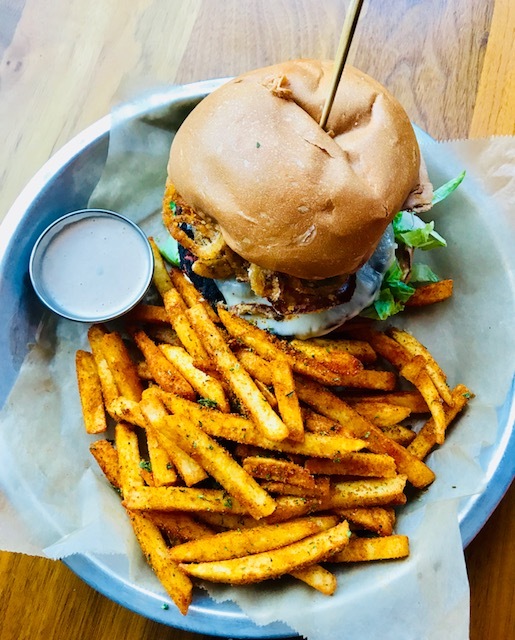 They can also be purchased in person at the Music Hall at Fair Park Box Office Monday through Friday from 10 a.m. to 6 p.m. and Saturday from 10 a.m. to 4 p.m.
My husband and I recently visited 3 Stacks Smoke & Tap House to experience their new menu and walked away extremely impressed and extremely full. 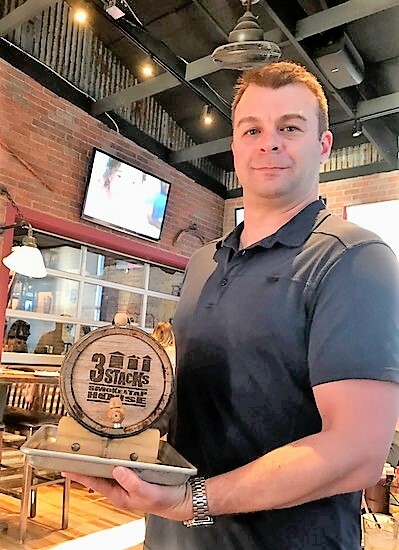 If you’ve haven’t visited the restaurant before , 3 Stacks Smoke & Tap House, is a great BBQ restaurant located in Frisco, Texas. 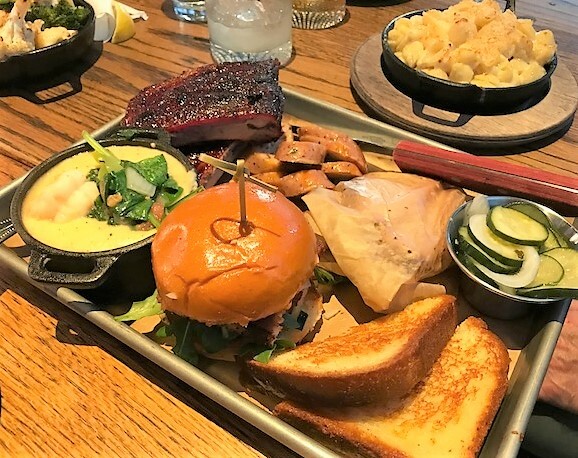 3 stacks has now taken it to another level by becoming a full service restaurant (they’ve gotten rid of the buffet line) and has combined their already terrific BBQ with a full menu that includes several new and creative selections of meats, appetizers, sides, and desserts. Let’s start with the BBQ. 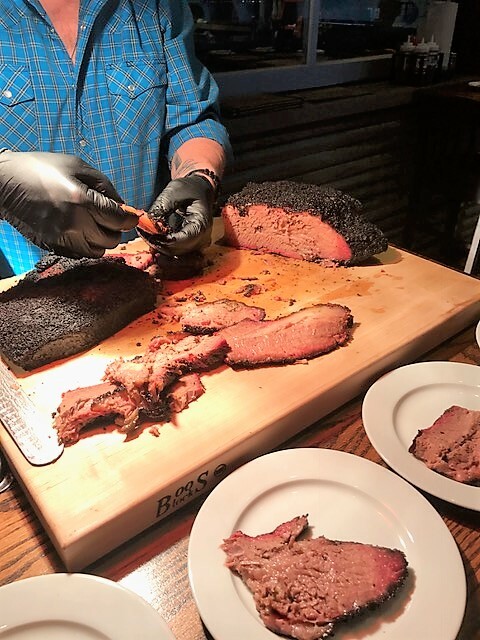 Even though 3 Stacks is stepping up their game with their new and creative menu their Pit Master Bryan Shanahan combines old school BBQ skills but leverages high quality smoking equipment to produce consistent and delicious BBQ. He oversees the three large smokers himself and produces a competition level BBQ that is as tasty as you can get. The USDA prime hickory smoked beef brisket is very moist and tender and has a great cap and smoke ring. 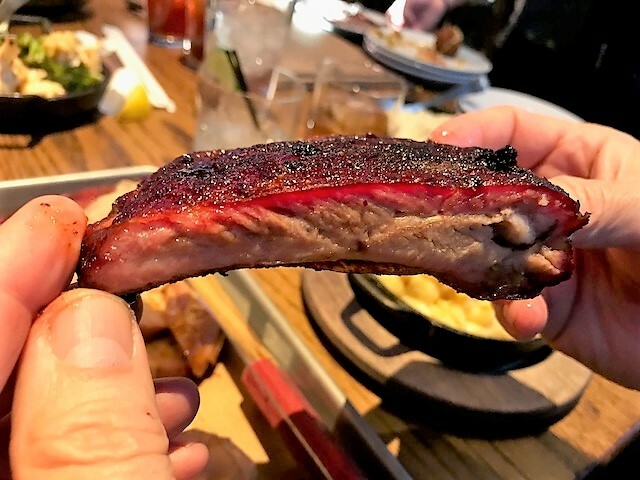 The St. Louis ribs were succulent and tender with a sweet finish. They are some of the best I’ve had. 3 Stacks also prepares their sausage in house in their new sausage production viewing room. That’s a unique approach, restaurants usually don’t do that. Most BBQ joints build their reputation based on their meats but they don’t try too hard on their sides or alternative BBQ choices. 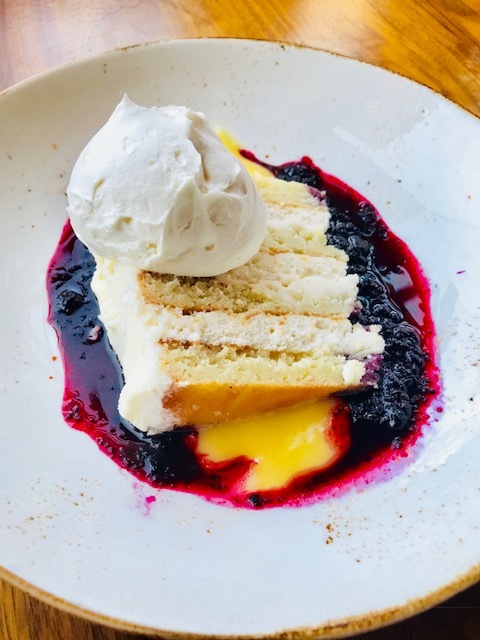 For the most part they all have the same old tired and boring potato salad and beans but 3 Stacks has added some creative sides, appetizers, and desserts. 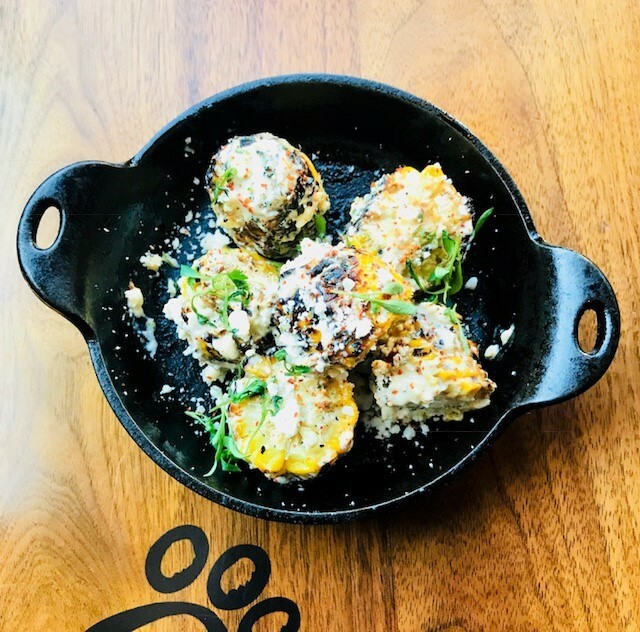 Chef Pete Rukes has taken southern staples and has infused them with a modern twist and added several new items to the menu. I highly recommend the White Cheddar Mac and Cheese, and the “to die for” roasted garlic mashed potatoes. We started the meal with fried green tomatoes with charred corn salsa and chipotle dressing (bet you never had them served this way) and buttermilk and bacon hushpuppies (yes I said bacon – yum). 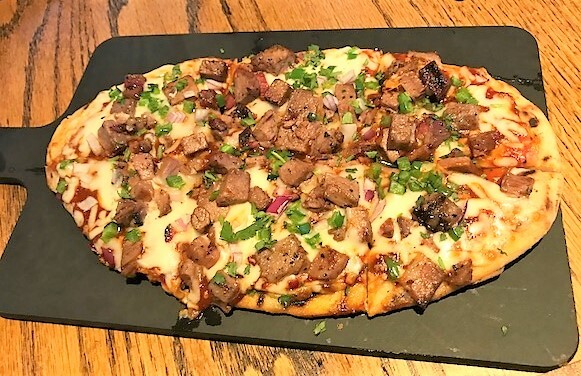 The smokehouse flatbread is very unique and delicious. 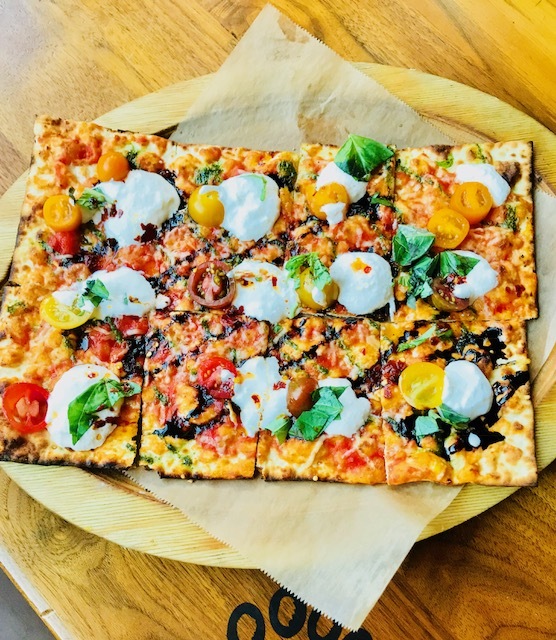 It has a great combination of smoked meat flavors that you wouldn’t expect in a pizza. 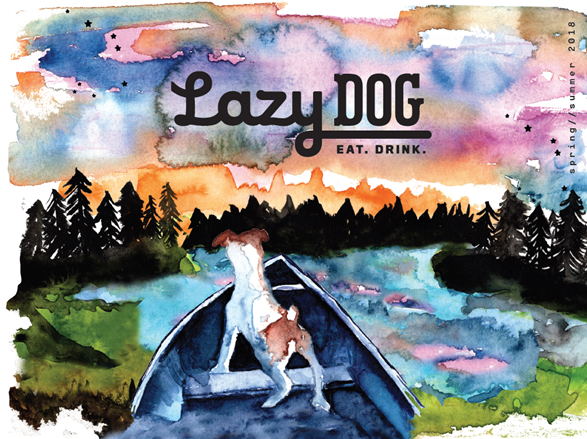 Other new items to the menu include jalapeno-cheddar sausage corn dogs, Texas poutine with brisket chili, and a BLT with house cured pork belly (I will go back just to have this again). 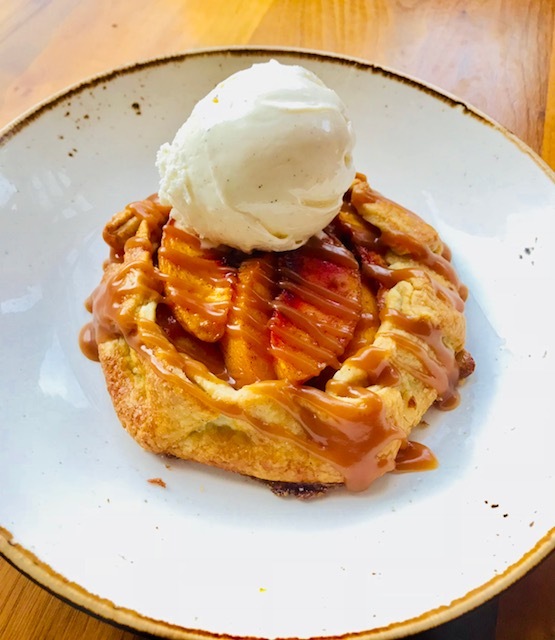 Now let’s talk desserts. Who doesn’t love the banana pudding that most BBQ places have? 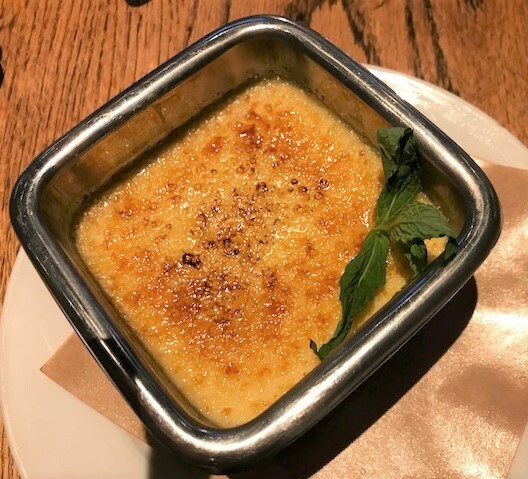 Well Chef Rukes has gone one step further and has combined the banana flavor with my favorite dessert ever – Crème Brulee and has produced a new favorite, “Caramelized Banana Crème Brulee”. 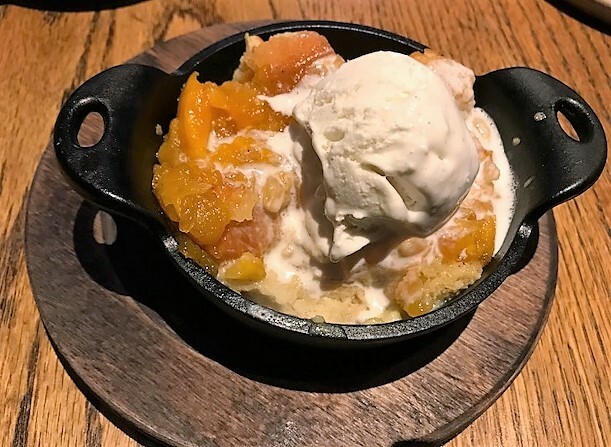 He’s also taken another old dessert staple, bread pudding and has created a new decadent dessert called “Warm Doughnut and Maple Bread Pudding”. Everything is made in house and it’s obvious in the quality and taste. 3 Stacks offers a wide array of craft beers if that’s your thing. My vote for best cocktail goes to “Smoke Show”. 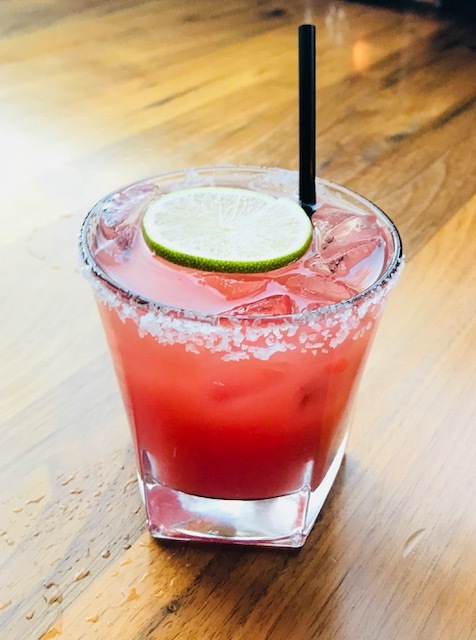 This is their version of a margarita and it is amazing! It includes tequila, Cointreau, lime, agave and smoke (of course) sea salt! Also of note is “The Ol’Barrel” which is a Manhattan style cocktail. Not only is the whisky barrel-aged but the drink itself is aged in a barrel on site for an extra smooth cocktail. 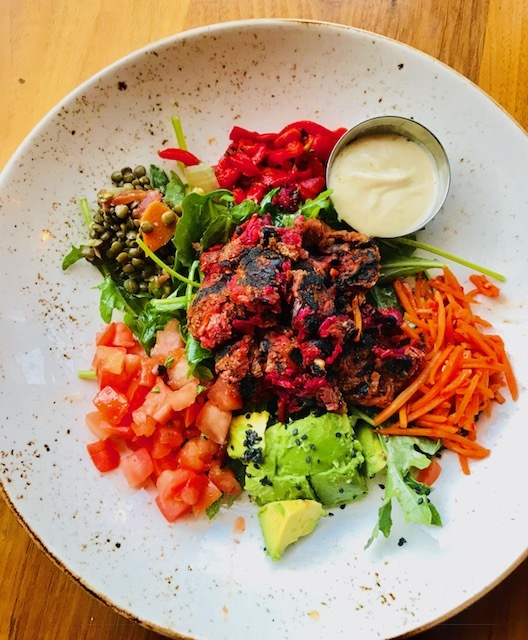 3 Stacks gets it’s name from the three smoke stacks that greet you at the door to the restaurant and introduces you to what this restaurant is really all about – smoking BBQ. Inside, the restaurant has a large open floor plan with exposed brick walls which gives it a modern rustic ambiance. This puts the restaurant a step above most other BBQ restaurants. 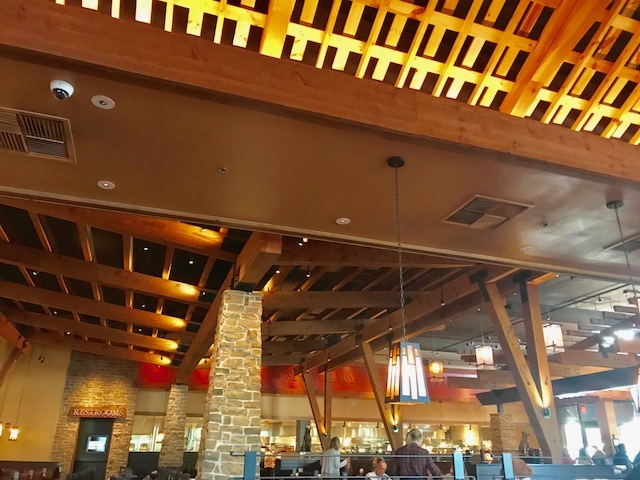 It also has several TV’s throughout the restaurant which makes it a great gathering place for game watching and family events. My BBQ loving husband gave it two thumbs up and so did I! I love BBQ but I also love that there are delicious non BBQ items to choose from too. That alone makes this restaurant something special. Anyone who loves BBQ and is ready for something different needs to put this restaurant at the top of their list!! 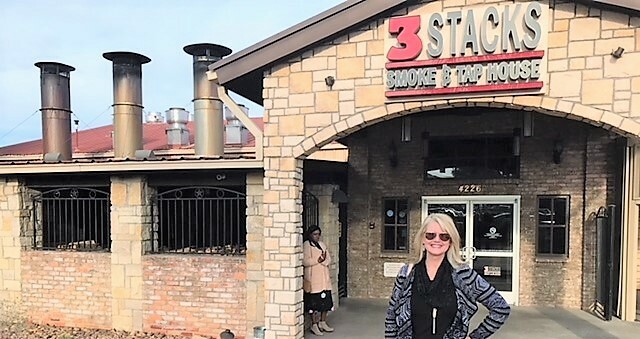 3 Stacks Smoke & Tap House is located at 4226 Preston Road in Frisco, Texas . It’s open Sunday through Thursday from 11 am to 9 pm and Friday and Saturday from 11 am to 10 pm. For more information, please visit: www.3stacksbbq.com. 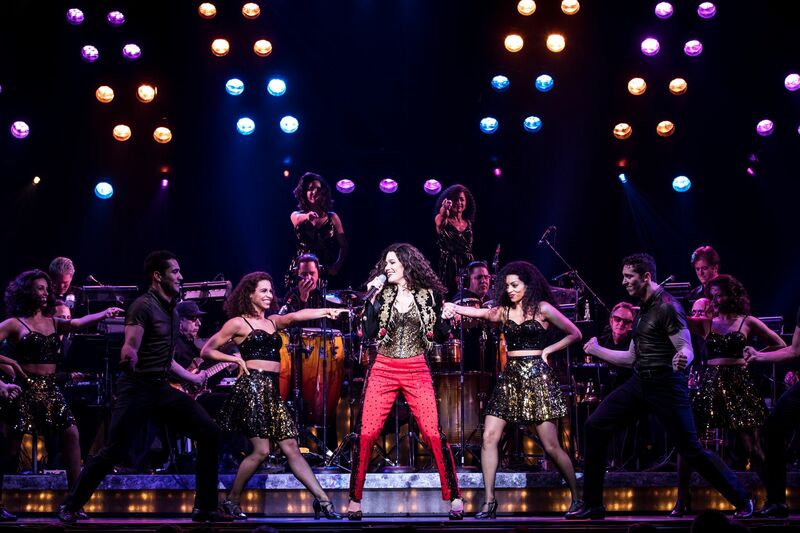 The first national tour of the Broadway musical hit ON YOUR FEET is performing right now at Dallas’ Music Hall and you need to get your tickets right now! 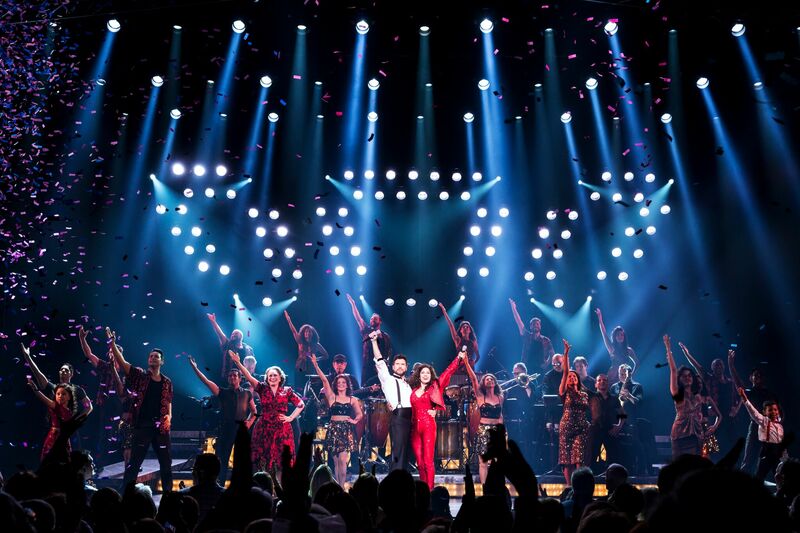 The musical is based on the life story of seven-time GRAMMY® winning international superstar Gloria Estefan and her husband, 19-time GRAMMY® winning producer-musician-entrepreneur Emilio Estefan. Together the Estefans and their group The Miami Sound Machine has sold over 100 million records. Never before has a Latin pop musical group become such a sensation and taken over the music industry. They endured many roadblocks along the way but through ingenuity and endurance (and a lot of talent) they became a radio and music video sensation in the 80’s with dozens of smash hits. But that’s only half the story. This is an incredible true story about an immigrant girl from Cuba from modest means who finds the kind of success that one could only dream of and oh the way finds love too. You can’t make this stuff up. Here’s the plot: A young Gloria (incredibly talented Amaris Sanchez) is living in Miami where she and her family have moved after the Cuban revolution. Gloria is an inspiring songwriter and singer who’s encouraged by her father, Jose who is serving in Vietnam. José believes in his daughter’s talent and tells her “You’re a born artist, my angel. And one day you’re going to be a big star!” After the war when he returns home, Gloria’s father tragically develops multiple sclerosis and Gloria takes on the role of her father’s caretaker (along with her mother and little sister). A struggle develops between Gloria’s mother and the new man in Gloria’s life, Emilio Estefan. Emilio wants Gloria to partner with him and his Latin band and fulfill her dream in the music world. Gloria’s mother meanwhile is more than a little vocal in her disapproval of Gloria’s ambitions because of jealousy and fear of losing her dutiful daughter. Meanwhile her biggest support is her darling grandmother (a real jewel played by Debra Cardona) – she’ll make you smile throughout the performance. 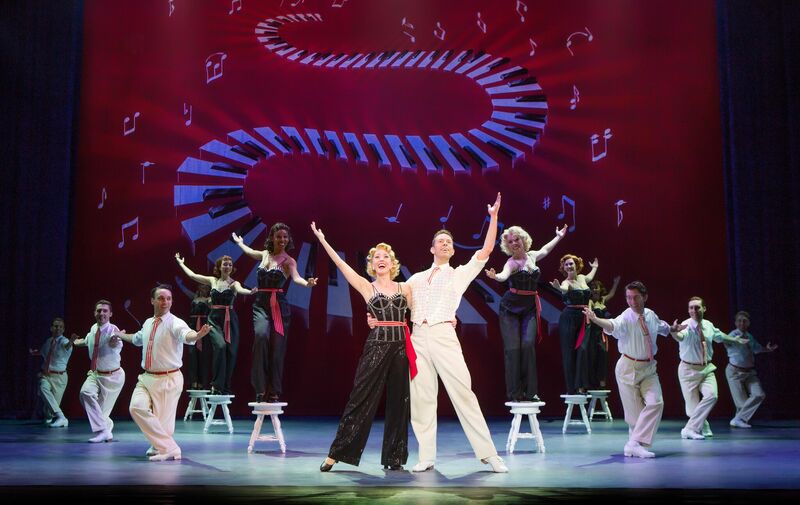 This jukebox musical is energetic and makes it hard to stay in your seat. Such huge hits such as “Rhythm Is Gonna Get You,” “Conga,” “1-2-3,” “Get On Your Feet,” “Mi Tierra,” and one of my personal favorites “Don’t Want To Lose You Now”. I had forgotten how huge this musical group was, what a cultural impact they made on pop music, and how much I loved their music until I saw the musical! If you know Gloria Estefan’s story you’ll also remember a horrific accident that almost takes her life and definitely changed it. You will rejoice at the resilience she has and be reminded that this is what made Gloria the superstar she is in the first place. The beautiful original song “Reach” written by Gloria and her daughter Emily is performed during this point of her story and will have you in tears. 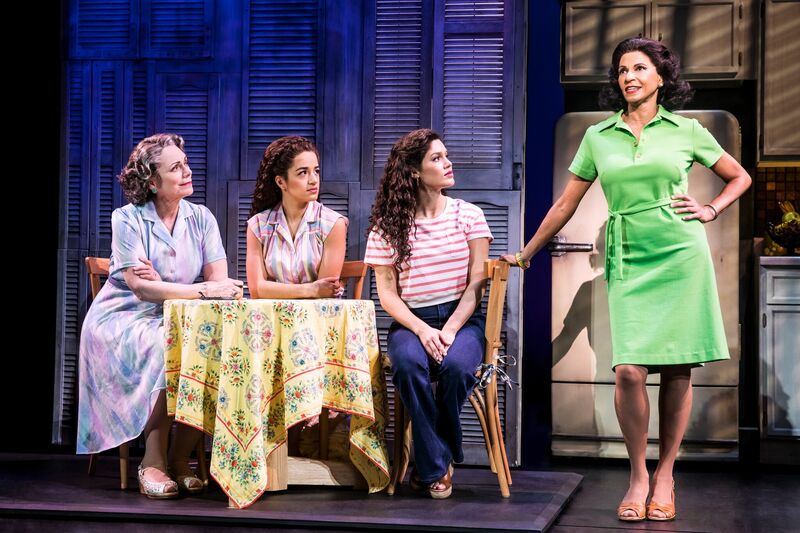 The sets are simple yet project both the Miami of Gloria’s childhood and her old Havana roots. The performances vibrate with energy, spice, and passion and are really fun. Gloria is captured well by the very talented Christie Prades and Mauricio Martinez who plays Emilio is a total delight. 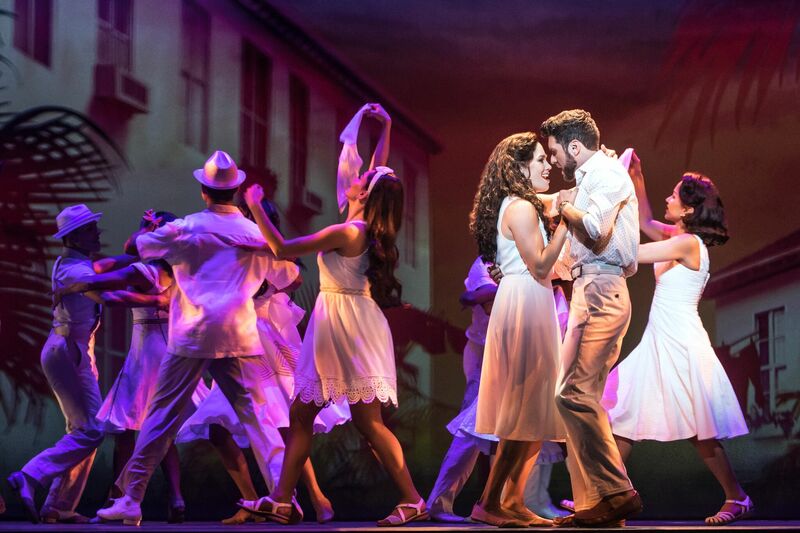 The dancers are perfection and will seriously make you want to go get on your feet and go take salsa lessons. 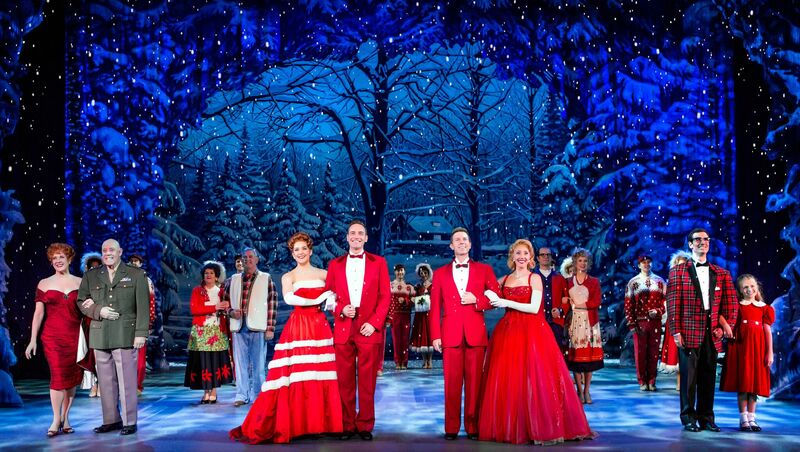 It’s no secret that I love musical theater and I loved this performance from beginning to end. This was a story that was made for the stage because it has everything we love – music that is familiar (and we know all the words to), great choreography, and an epic love story. It’s a true American dream story that will have you in awe of their success. Go and enjoy the journey. My husband and I are still singing the songs. 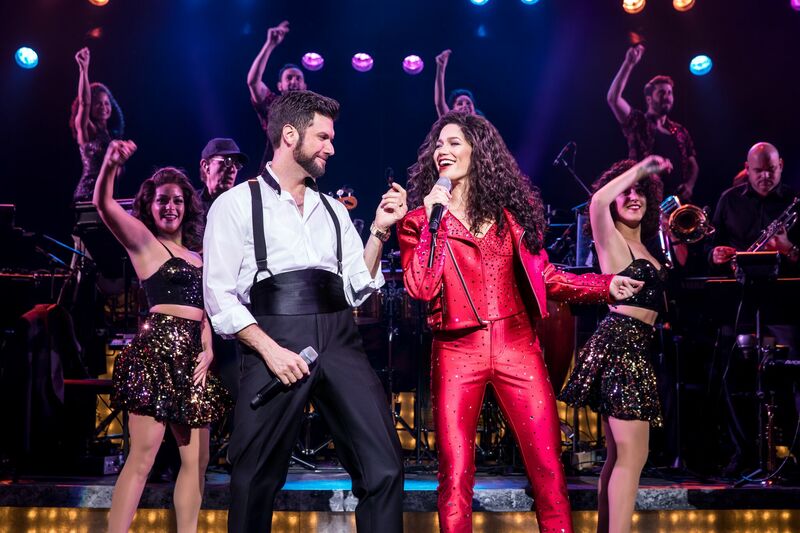 Single tickets are available for ON YOUR FEET! On line at: DallasSummerMusicals.org or by phone at 1 (800) 745-3000. They can also be purchased in person at the Music Hall at Fair Park Box Office Monday through Friday from 10 a.m. to 6 p.m. and Saturday from 10 a.m. to 4 p.m.
Dallas Summer Musicals 2017-18 season will continue with WAITRESS with music and lyrics by Sara Bareilles, March 28-April 8, 2018; the thrilling, spectacular and unforgettable LES MISÉRABLES, April 24-May 6, 2018; Disney’s THE LION KING, winner of six Tony Awards®, including Best Musical, June 13-July 8, 2018; the spellbinding sequel to The Phantom of the Opera LOVE NEVER DIES: The Phantom Returns, July 24-August 5, 2018; and closing the season will be the hilarious new musical SCHOOL OF ROCK, based on the hit film, August 15-26, 2018. 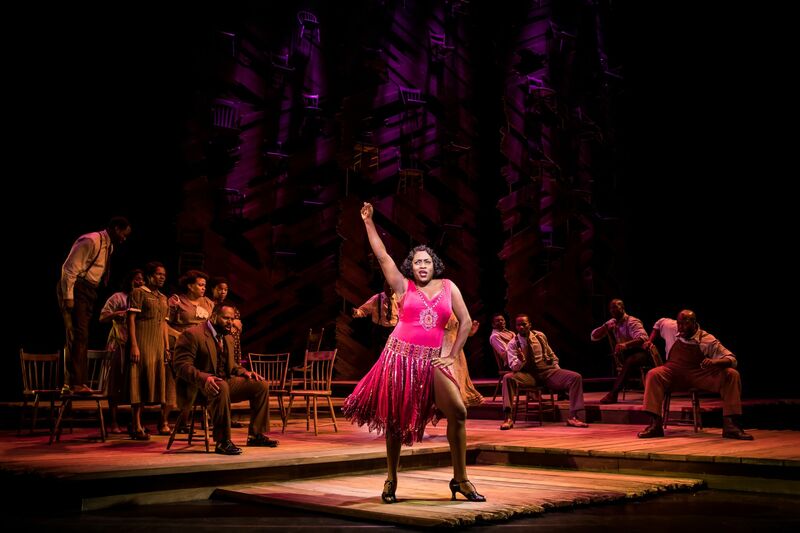 Dallas Premiere – The Color Purple The Musical! 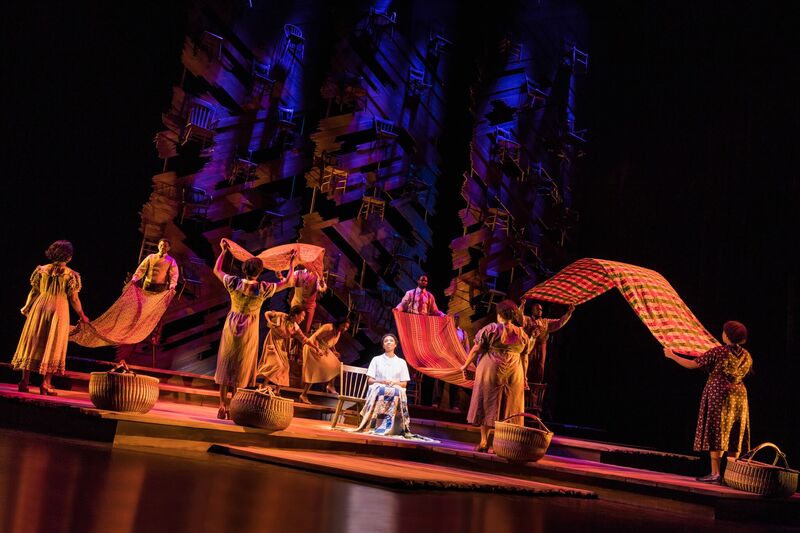 The Tony Award®-winning Broadway revival of THE COLOR PURPLE is at The Dallas Music Hall from January 23 – February 4, 2018.
Who didn’t love the movie THE COLOR PURPLE?! I know I did and now the musical is in Dallas! 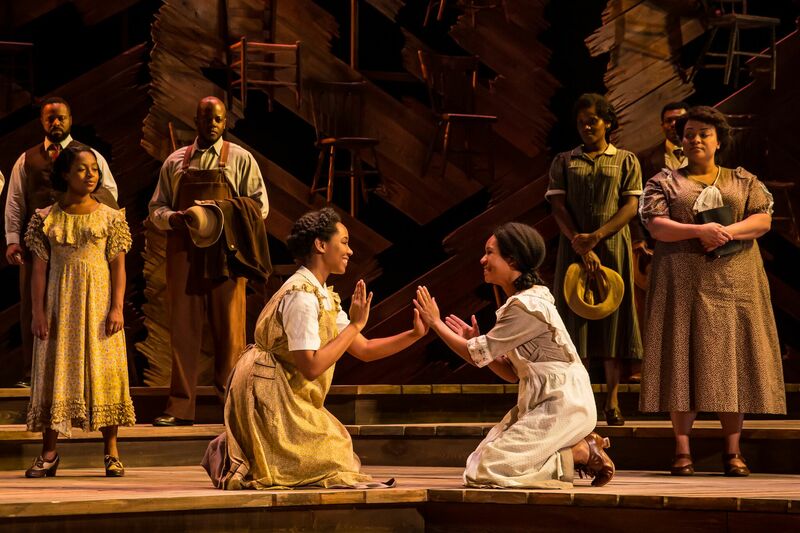 THE COLOR PURPLE The Musicial has been a huge hit on Broadway winning two 2016 Tony Awards, including Best Revival of a Musical, two Drama Desk Awards, including Outstanding Revival of a Musical, the 2017 Grammy Award® for Best Musical Theater Album and a Daytime Emmy®. The musical is based on the Alice Walker’s Pulitzer Prize-winning novel and the Warner Bros. Amblin Entertainment motion picture. The musical chronicles Cellie, a young African American woman in the American South from the early 1920’s to mid-20th Century. It’s a journey of love, tragedy, and triumph. Your heart will explode with emotions. The very talented cast members from the 2016 Broadway revival lead the touring company, including Adrianna Hicks (Aladdin, Sister Act – Germany) as Celie, Carla R. Stewart (Ghost – National Tour, Rent – Regional) as Shug Avery and Carrie Compere (Holler If You Hear Me, Shrek the Musical – National Tour) as Sofia. 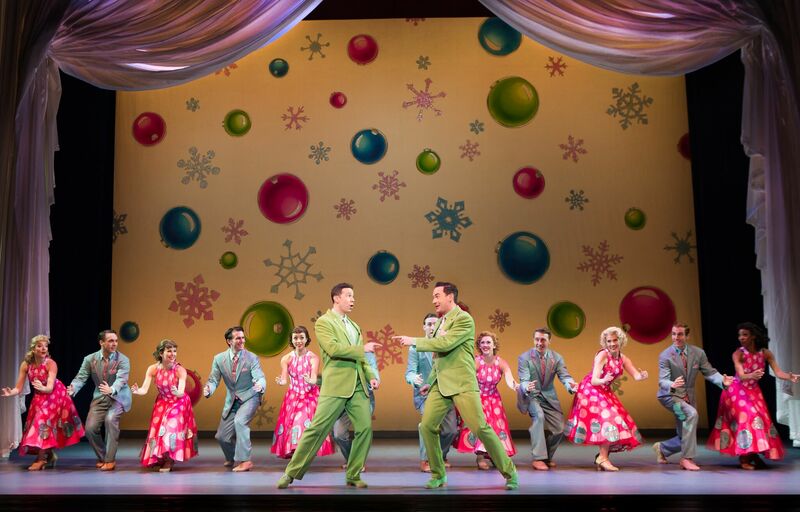 Don’t miss this incredibly energetic and entertaining musical! Single tickets for the Dallas engagement of THE COLOR PURPLE, starting at $20 (pricing subject to change), are now on sale at DallasSummerMusicals.org or by phone at 1 (800) 745-3000. They can also be purchased in person at the Music Hall at Fair Park Box Office Monday through Friday from 10 a.m. to 6 p.m. and Saturday from 10 a.m. to 4 p.m. Groups of 10 or more get concierge service and can receive a special discount on their tickets. 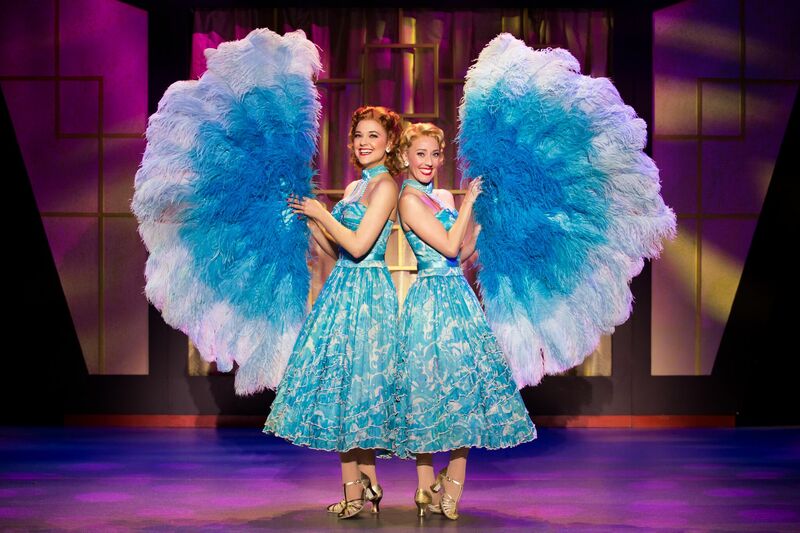 To book a group, please call (214) 426-4768 or email Groups@DallasSummerMusicals.org. And closing the season will be SCHOOL OF ROCK – August 15-26, 2018.